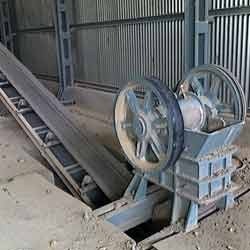 Enriched by an industry experience, we have positioned ourselves as one of the eminent organization involved in manufacturing and supplying a vast array of Crushing Machine. 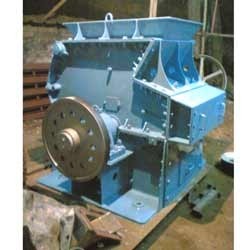 Our product range includes roller crusher, jaw crusher and swing hammer crusher. All the crushers are fabricated under the supervision of our experienced and dexterous team of professionals conforming the set industry standards. The offered products are well-acknowledged by the patrons for their reliability, effective performance and longer service life. Moreover, we offer this range in various specifications as per detailed by our valuable clients. 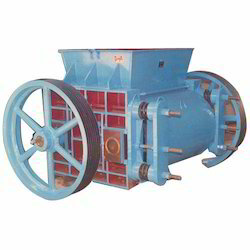 We are a profound industry engaged in manufacturing and supplying a wide range of Swing Hammer Crusher. The offered range is manufactured using high-grade material that is sourced from reliable vendors of the market. Our experienced professionals stringently inspect these crushers on certain well-defined parameters of quality in order to rule out every possibility of defect. This range is widely used for crushing & pulverizing various material such as coal, salt, plaster, alum, brick, fire clay, clay, george & other minerals. We have in stores the best Jaw Crusher for our esteemed clients. These products are manufactured using superior quality raw-material along with latest technology in line with the defined parameters of the industry. The raw-material are procured from the most reliable and trusted vendors in business. We have a set of advanced machinery operated by skilled professionals designing highly durable and efficient products. Looking for Crushing Machine ?